We are a growing blog and seedbank that provides tips, guides and materials for the successful at home cultivation of medical marijuana. Headquartered in Amsterdam and shipped worldwide. 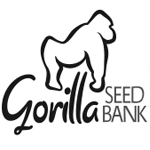 Gorilla Seed Bank is a cannabis seed company based out of the UK. They are a relatively new seed bank, but the company’s founding members have a combined 40+ years of experience in the seed industry. Gorilla Seeds has a team that consists of around 10 people and they hope to grow to become the number one seed bank in the world. 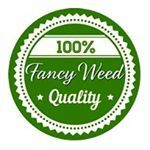 They offer discrete shipping worldwide and vow to carry seeds for at least 10% cheaper that the price of their major competitors. Crop King Marijuana Seeds is a Canada-based marijuana breeder which features 20 high quality cannabis strains in feminized, autoflowering, and regular varieties. The company has 30+ outlets in Canada and growing. Crop King genetics can be purchased from any of their Canadian retailers or their online store.